At SES we believe the establishment and maintenance of an accurate Primary Control Network is vital to ensure successful dimensional control over a project. SES prides itself on the quality of our work when it comes to Primary Survey Control. 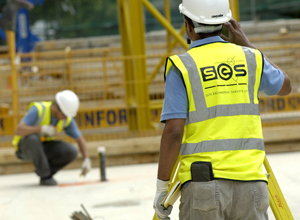 Whether it's for a large scale development or a small housing project, SES has been responsible for establishing and maintaining precise survey control for many years involving projects such as shopping centres, large office developments, airports, power stations and many other commercial schemes. Typically, we can provide survey control at all stages of a project, from the initial traverse, establishing the building grid, through to providing gridlines and datum's to all levels of construction. We are able to establish survey control networks to either the Ordnance Survey national grid, related to the architects setting out criteria or develop a best fit grid reference to site conditions. With access to Ordnance Survey SES can transfer datum's from referenced OS benchmarks or set-up a local level datum. 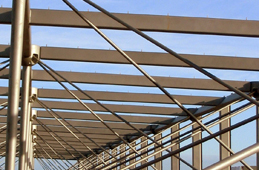 With architects demanding high tolerances SES understands the importance of setting out to the highest accuracy. With integrated hardware and software systems we have the technology to digitise co-ordinates from your design information and input data straight into our instruments, whether it's for setting out with a total station or GPS. From setting out block work to complex 3D cladding systems SES has the experience to suit your project. Employing accomplished surveyors, trained to use modern Leica total station instruments, supplemented with GPS systems for larger developments our experienced team will ensure integrity is maintained within your Primary Control Network and the setting out is to the highest degree of accuracy.